Create cool, comfortable temperatures for farm animals to prevent sickness and increase productivity. Maintain great air quality to keep produce fresh and healthy, reducing spoilage. 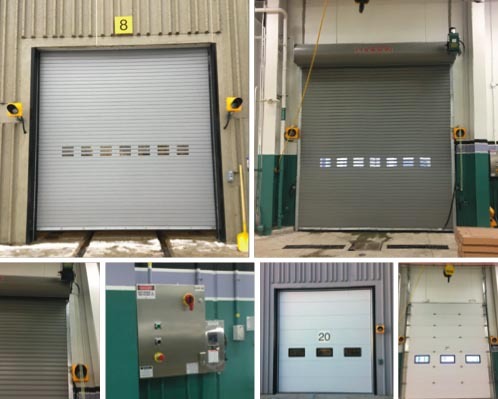 Installation of rolling steel doors and operators at Toronto Transit Commission (TTC). 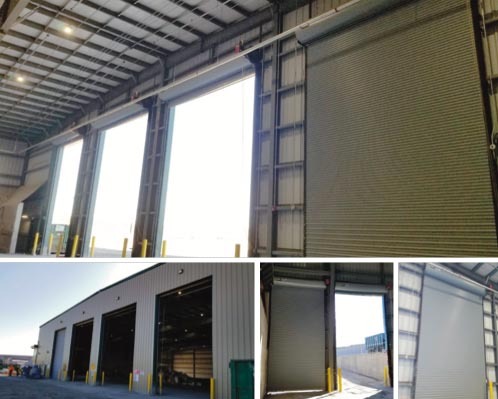 Providing new construction and installation services for rolling steel doors and operators at a Waste Management facility in Courtice, ON. 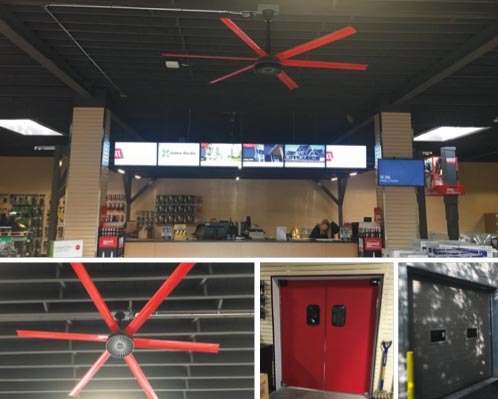 Complete door, operator and HVLS fan solution for Roofmart in North York. 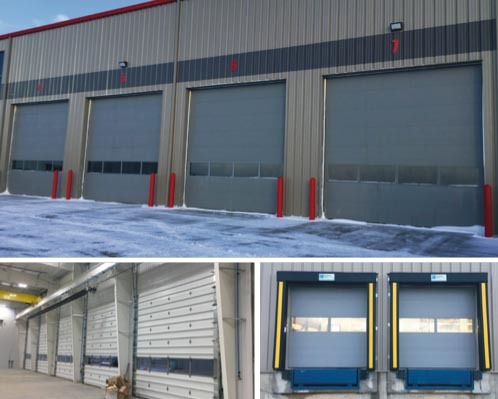 Complete solution consisting of mechanical dock levelers, dock seals, doors and operators.